By 500 B.C. , it was known that lodestone, a naturally occurring form of iron oxide also known as magnetite, had the ability to attract iron. No one knows where or when it was first noticed that a freely moving piece of lodestone tended to align itself so that it was pointing North and South. 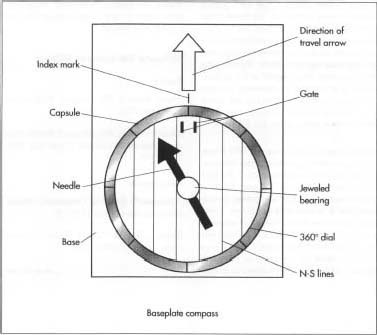 Written records indicate that the Chinese used magnetic compasses by 1100 A.D. , western Europeans and Arabs by 1200 A.D. , and Scandinavians by 1300 A.D.
A frontal and sideview of a simple pivoted-needle compass. into a mold in the shape of the desired product. The mold is allowed to cool, opened, and the solid plastic is removed. The various plastic components are shipped from the plastic manufacturer to the compass manufacturer and stored until needed. This was pretty handy. cause i needed the info for a project. Ive looked on line and couldn’t find an answer, but what exactly is a desktop compass, can it be used as a navigation tool? 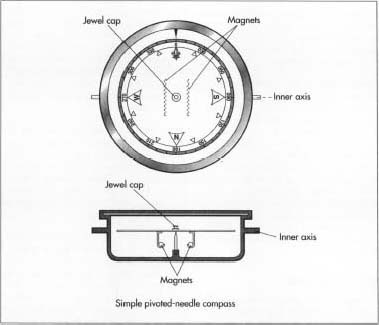 And a magellan compass versus a field compass?